Former Premier League Champions Liverpool are reportedly set to bring Firmino’s national teammate Anderson Talisca to Anfield stadium this summer according to report. The striker has been in excellent form for Turkish giants Besiktas over the past two years and he was influential in the team’s road to last season League title. Despite being on loan from Benfica, the 23-year-old has been phenomenal to the Turkish team and he has no hope of returning to the Portuguese league anytime soon according to Turkish-base media outlets. Well known for his strength and power to bully defenders, Talisca has found the back of the net 16 times this season including his four Champions League goals for the Black Eagles. With the player’s exploit so far this season, it is certain that clubs would be interested in snatching him from Benfica’s radar and Liverpool are reportedly the first club to show their readiness to bring him to Jurgen Klopp’s team ahead of next season. Turkish sports newspaper Fanatik suggest that the Reds who could be in the market for salah’s replacement are willing to use Firmino’s relationship with the player to their advantage by telling the 26-year-old striker to convince his countryman to join the Merseyside club while they are on international break with Brazil. 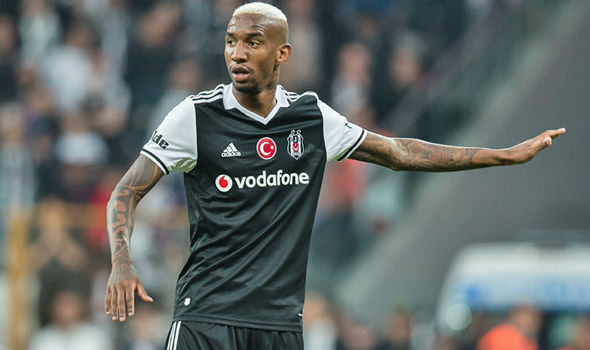 Besiktas are also set to buy the player on a permanent deal before the start of next season but it’s yet to be seen if Talisca who is likened to Yaya Toure would ignore Liverpool’s offer.